After seeing the GSM Palm Pre at MWC this week, visions of the Palm Pre on AT&T might've started dancing in your head. 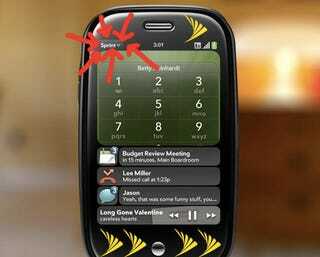 Bummer for you, since the Pre is Sprint's exclusively for 2009. CNBC says that according to the usual "person familiar with the matter," Sprint has locked up the Pre and thrown away the key in the US through at least the end of this year. Granted, if the Pre doesn't come out till June, which is looking likely, that's only about a six-month window of exclusivity, which is still much shorter than say, the iPhone, which is going on two years at this point.